To immerse yourself in the celebrity hotspot, stay where the powerhouse players like Barack Obama, Denzel Washington, Hilary Clinton, Payton Manning—just to name a few. The Embassy Row Hotel is known for its exclusive list of guests from the world of business, politics, sports and entertainment. 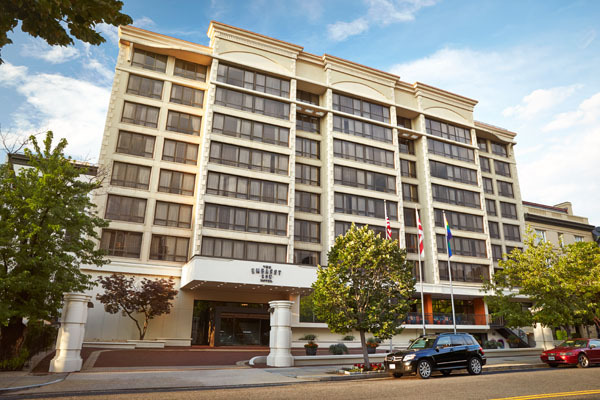 Hailed “Millionaires Row” due to its desirable location, The Embassy Row Hotel are the experts at providing luxury and unmatched service for their clients. The hotel has 231 deluxe guest rooms, along with 6,650 square feet of meeting space, including an elegant ballroom. 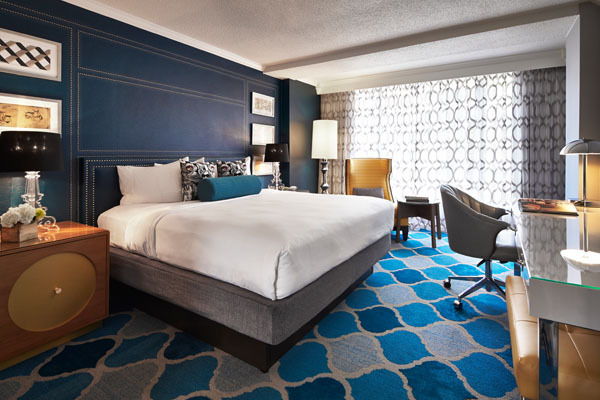 All rooms are rich in design and decorated in stylish décor offering an eclectic range of color schemes including playful furnishings, comfortable beds, and stunning views of Dupont Circle and Embassy Row. Each room comes complete with amenities such as NEST bath products, Wi-Fi, a working desk and more. Furthermore, guests have full access to the glorious rooftop pool and bar, adult playground, which includes foosball, Ping-Pong and shuffleboard, plus access to the Urban Fit Club fitness studio, so you can stay in shape while on vacation. The rooftops’ relaxed ambience feel is all you need for a relaxing evening sipping on a cocktail by the pool. The heated swimming pool, grill, bar, day beds and shaded lounges are all accompanied by sweeping panoramic views of charming Downtown Washington, D.C. Sip one of eight cleverly handcrafted cocktails to chaperon what is already a sublime evening. To top it off, indulge in some delicious food options like the Juicy Lucy Burger from the grill. 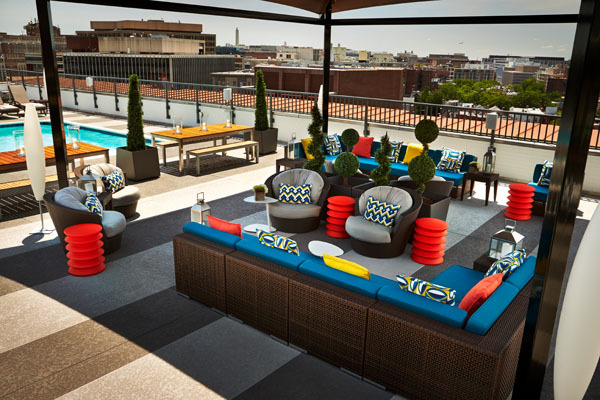 Located on the 10th floor of Embassy Row Hotel, this super chic rooftop swimming pool is open to both guests and the public as it is the only one of its kind in Dupont Circle. As for the dining options, they are as endless as the sun setting over the horizon. The station kitchen and cocktails restaurant and bar inside Embassy Row Hotel brings people together for an evening of culinary exploration. The menu ranges from Mexican street tacos, to seafood truffle pasta, and even goes as simple as herb fries. The coffee shop offers simple, classic pastries, and good coffee with beautiful views of Embassy Row. If you’re a night owl, and like to indulge in a little treat after hours, the 24-hour chefs pantry by Union Kitchen is your saving grace. They serve locally inspired snacks and sandwiches, plus a selection of delicious foods you would find in Washington, D.C.—carefully selected by the Chef.